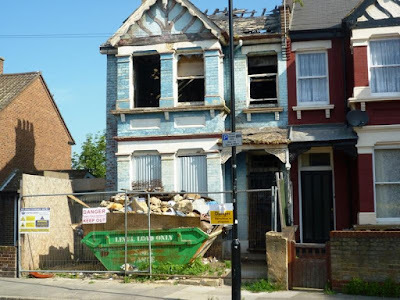 This article is by Peter Williams who did empty property work for Newham Council in the mid 1980s, bringing private homes back into use, often through threatening Compulsory Purchase Orders (CPOs). It provides fascinating insight into one small part of the housing crisis this country, and Newham in particular is facing - and the huge hurdles to be overcome in bringing neglected, but basically sound, empty housing back into use. Much of the information above is drawn from public sources such as London Fire Brigade reports, the Newham planning website, Newham's landlord licensing public register, High Court law reports, the Land Registry, Newham FOI disclosure log 2015 and council committee reports. Neighbours also assisted. The photos were taken by the author as part of the monitoring of the building work. One of the mysteries of the housing crisis is why people who own houses in expensive areas leave them empty for years and years. There are many different reasons no doubt: disputes within families over inheritance, people developing mental health conditions. Some speculators who know that even if a house is derelict and deteriorating it is still making money is a buoyant market, some landlords fear what their tenants might do to a property. Some properties in a larger portfolio just seem to get lost and forgotten about among them. 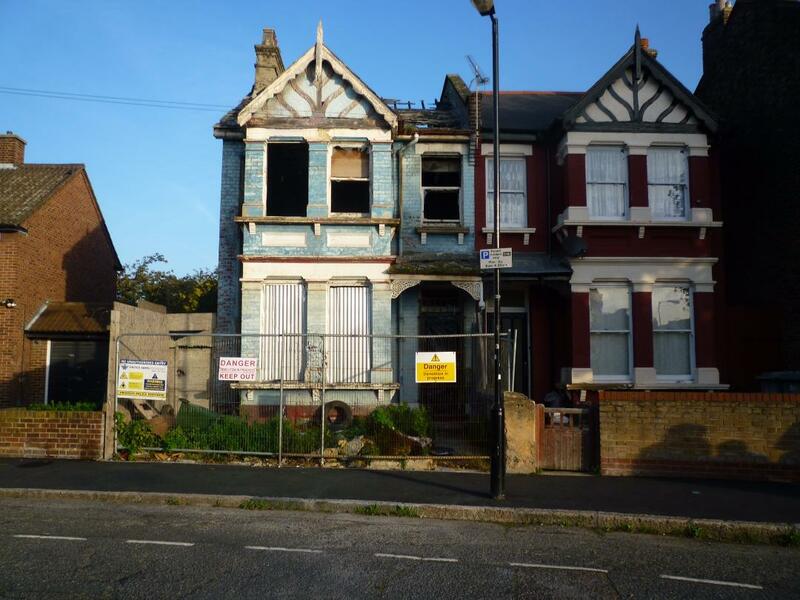 This article tells the story of one such house in Forest Gate, 23 Earlham Grove. Those who have lived in the area for years may remember a house painted blue in very poor condition with an old car in the front garden rotting away over years and years. The house was occupied by an elderly Afro Caribbean man called Mr Pearson for many years. When he died the authorities discovered that he hadn't paid an electricity bill since 1971 and had wired his house to the grid via the street lamp outside! He was a loner and kept himself to himself, not answering the door for anyone. He died alone in the mid 2000s and the house then lay empty for years. On 20th December 2011 there was a serious fire attended by four fire engines and around 20 firefighters. 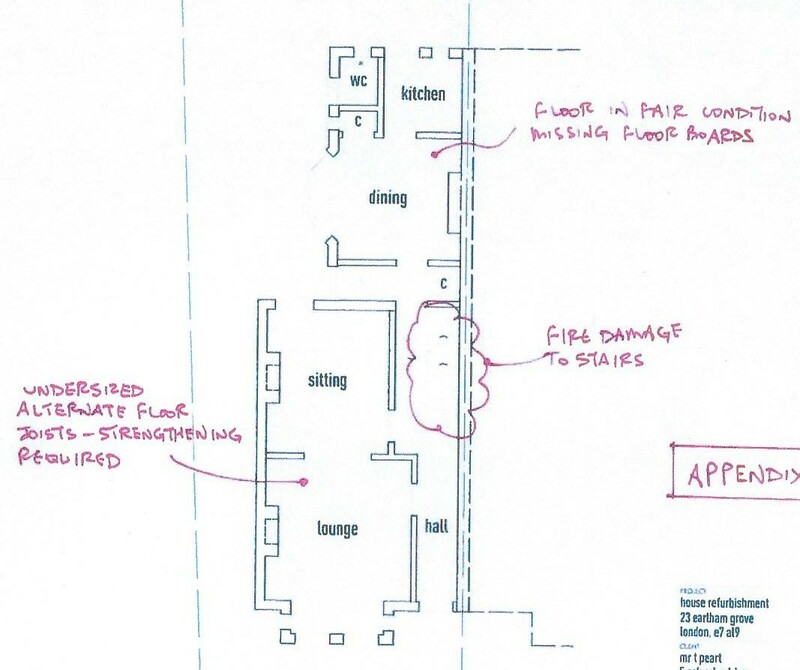 The ground floor, as well as the staircase leading to the first floor, were completely gutted by the fire. The first floor and the roof were also badly damaged. There were no reports of any injuries. The Fire Brigade was called at 03.47 a.m. and the fire was probably stared by a set of squatters the sleeping rough in the property. 23 Earlham Grove November 2013.
fire brigade had it partially boarded up. and the front garden is full of rubbish. The council eventually cleared some of this. It may come as a surprise to learn that Newham Council had one of largest programmes in the country of pursuing CPOs against empty private sector homes. In the 2000's Newham won some funding from Ken Livingstone’s GLA to begin a systematic programme of tackling private sector empty homes. A dedicated Empty Property officer was employed and eventually about 100 separate properties were subject to CPO action. The council used powers in s17 of the 1985 Housing Act to seek to acquire a house that could be returned to residential use and meet local housing need. Contrary to public myth, vacancy levels are far higher in private sector properties than in public sector. It is estimated in total there are 60,000 dwellings vacant in London and 600,000 in England. The council is able to use various databases such as the Land Registry (which is a public document) to identify absent owners and in the case of 23 Earlham the owner was located and contacted. However, he seemed very reluctant to do anything and said he did not have the money to refurbish it. The council pursued the CPO further and a public local inquiry was held on 8 January 2014 before of a government inspector. He was convinced by the council’s case and approved the CPO. Still little happened at the property until eventually the owner agreed, after much hassling by the council, to start work. rubbish was being cleared away. The council monitored the activity, but the work proceeded terribly slowly, with the builder disappearing for long periods. The council continued with the CPO proceedings and eventually the owner made a promise that he would finish the work. 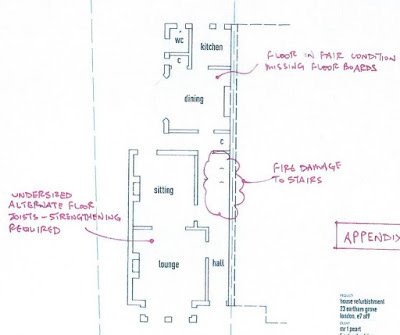 In September 2014 there was a planning application: “for reinstatement of fire damaged dwelling and conversion into 2 x 3-bedroom apartments and a proposed light-well to the front to provide a separate entrance into flat A”. Work went on slowly during 2015 and all work was eventually completed in spring 2016. Occupants finally moved in later in 2016 and the council had achieved its objective. It had not had to take the property into public ownership but the owner had done the work but only after considerable pressure exerted through the CPO process over several years. There was one fewer derelict property blighting the borough. and there is a public register online. 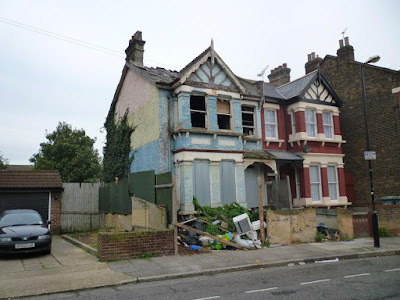 It transpires that this is not the first Forest Gate property owned by Mr Peart that the council has made a CPO against. There was another one in the early 2000's but in that case the CPO went through to completion, the council acquiring the house and it ended up sold to a not for profit housing association who refurbished it. At the public enquiry Mr Peart admitted he was using the proceeds from the forced sale to the council of this first property to fund works to Earlham Grove. With shifting priorities and cuts to public expenditure since 2010 there is no longer a programme in Newham to tackle empty private sector homes. The very last Newham CPO property on Capel Road remains partly derelict and scaffolded with, again, the owners being very slow to carry out work - having made a start. Presumably pressure will have to be continually exerted on the owner as at Earlham Grove, or else the CPO completed and the property purchased by the council.